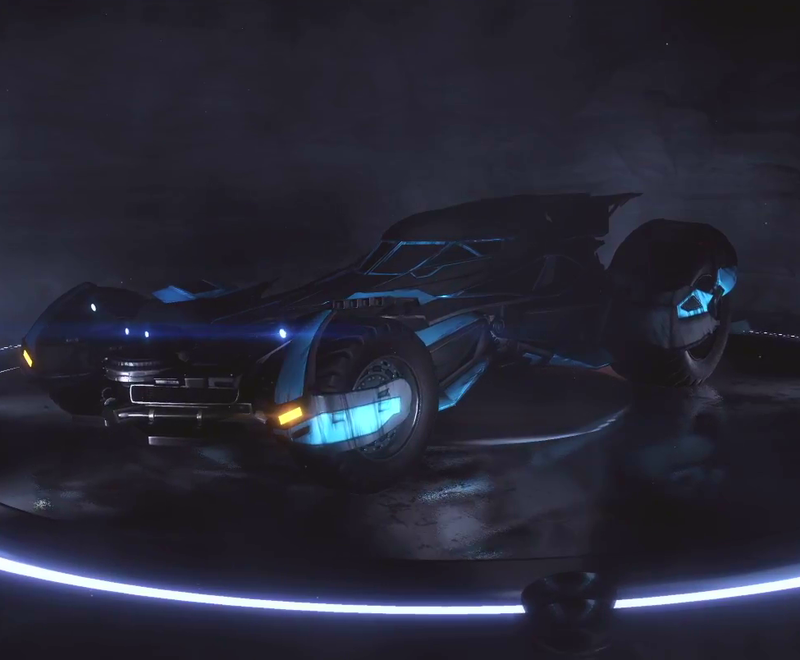 Independent video game developer and publisher, Psyonix, and Warner Bros. Interactive Entertainment have announced that fans of Rocket League will soon take control of the world-famous and iconic Batmobile from the highly-anticipated Warner Bros. Pictures film Batman v Superman: Dawn of Justice. Available Tuesday, March 8, the Batman v Superman: Dawn of Justice Car Pack will put players behind the wheel of the renowned crime-fighting vehicle, which has been faithfully re-created in Rocket League, to mirror Batman’s ride in the upcoming film. In addition to the Batmobile itself, the Car Pack also will include three exclusive Antenna Flags enabling players to show their allegiance to World’s Finest trinity: Batman, Superman and Wonder Woman. Priced at $1.99 USD, the Batman v Superman: Dawn of Justice Car Pack will release on the PlayStation 4, Xbox One, and Windows PC via Steam. Winner or nominee of more than 100 game of the year awards, Rocket League is one of the most critically-acclaimed games of 2015. Boasting a community of more than 11 million players, Rocket League is a high-powered hybrid of arcade-style soccer and vehicular mayhem that offers easy-to-understand controls and fluid, physics-driven competition. Available digitally on Xbox One, PlayStation 4, and Windows PC via Steam, Rocket League includes more than 100 billion possible customization combinations, a fully-featured offline season mode, multiple game types, casual and competitive online matches, and special “Mutators” that let you change the rules entirely. Batman v Superman: Dawn of Justice lands in theaters on March 25.